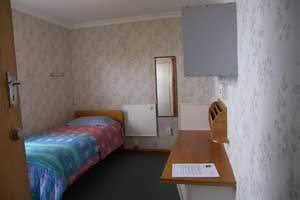 Marys Guest house is a fantastic place to stay and is located in the hub of the Paraparaumu Community! Rooms start from a low price of $185 per week for a single room or $200 per week for a ensuite room. Only 3 minute walk from the train station/buses and a 5 min walk from coastlands, you can get to where you need in only moments. • Affordable accommodation - Single rooms from $185 per week, ensuite rooms from $200 per week. • Regular House Meetings to discuss ideas for improving facilities. •3 Minutes walk to Rail and Bus Station! •5 Minutes walk to the Coastlands shopping mall! Dining Rooms with several tables, chairs, fridges and freezers. This is also the room where dishes are served/washed. TV Room has a TV with several comfortable couches ideal for relaxing in. Games Room with a piano, dart board, pool table and table tennis. This is the social area of the house for guests and their friends. Kitchen is well equipped, just supply your own food. You are assigned your own lockable cupboard, fridge and freezer for storing food etc. Cutlery, crockery and cooking utensils are provided for your use. Bedrooms are all carpeted and have either curtains or blinds. We have single or ensuite rooms available and also some rooms for disabled guests. Single rooms all have one single bed, ensuite rooms can have two single beds or one double bed as required. In addition all rooms are furnished with a handbasin, heater, wardrobe, drawers, desk, chair, rubbish bin, washing basket, bedding and towels. All these items are supplied according to the number of people living in the room. Internet access is in all rooms. Ensuites are located in some rooms. These contain a shower, toilet and basin, we also have a few rooms for those with a disability which are suitable for wheelchair access. Bathrooms - a number of toilets, and showers are available for all to use. Laundry - there is a fully equipped laundry available for use, with washing machines, dryers and ironing facilities. Guests supply their own laundry powder. An outside clothesline and pegs is also provided.